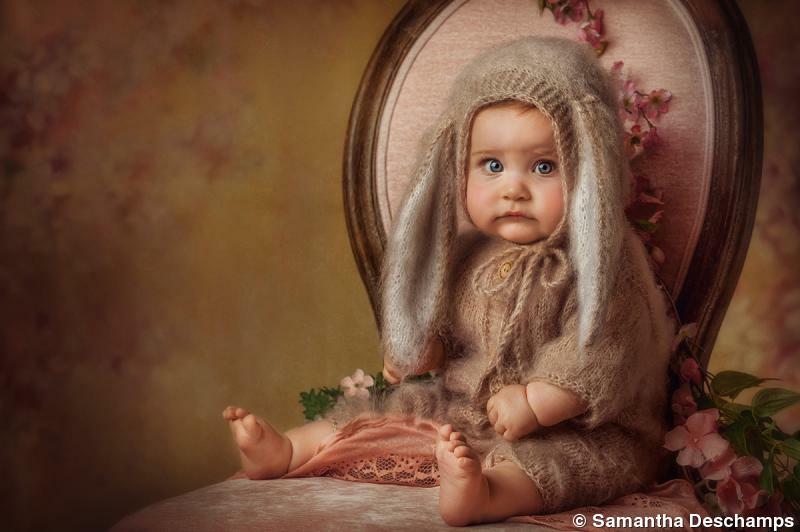 Samantha Deschamps captured “Bunny Cheeks” during one of her fine art bunny sessions for babies eight to 12 months. “This baby is an expressive little girl with red hair, and I was able to capture many looks,” Deschamps says. “I absolutely loved her non-smiling gaze at the camera.” Around the Bend Photography is based in Monroe, New Hampshire, and specializes in fine art newborn, child, and high school seniors portraiture. 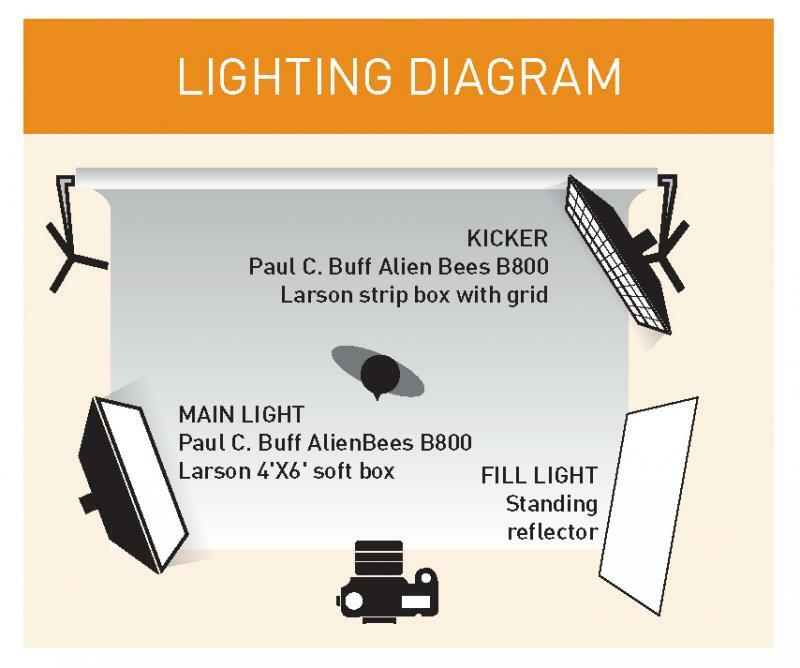 LIGHTING: She used a Paul C. Buff AlienBees B800 for the main and kicker, a Larson 4x6-foot rectangular soft box feathered camera left, a Larson strip box with grid for the kicker, a large standing reflector camera right for fill, and a RadioPopper Nano. POST-CAPTURE: She used Adobe Camera Raw for global adjustments, Adobe Creative Cloud 2015 for hand editing with curves, levels, dodging and burning, Jessica Drossin Beautiful World Textures (gold plate), Portraiture for Adobe Photoshop and Lightroom, and Topaz Adjust.